Well today was interesting. 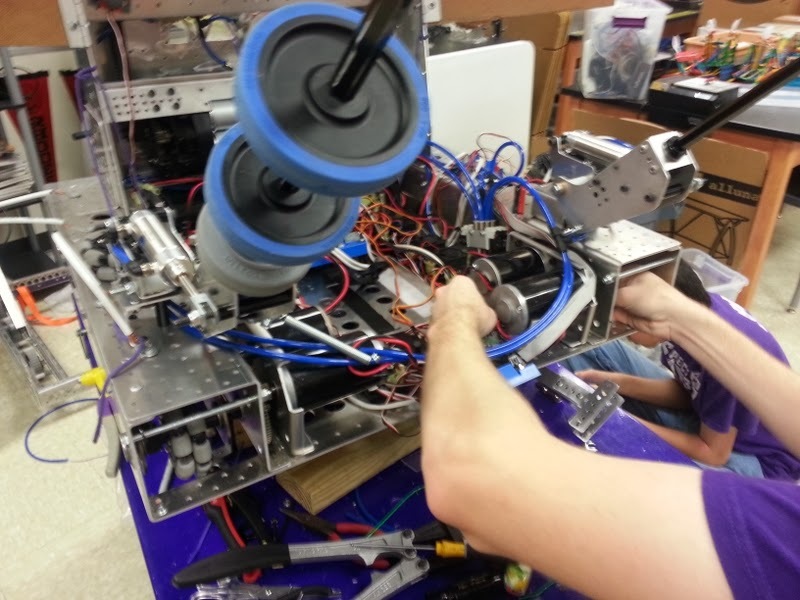 We started the day by taking off the mecanum wheels from our drive train and replacing them with the omniwheels. 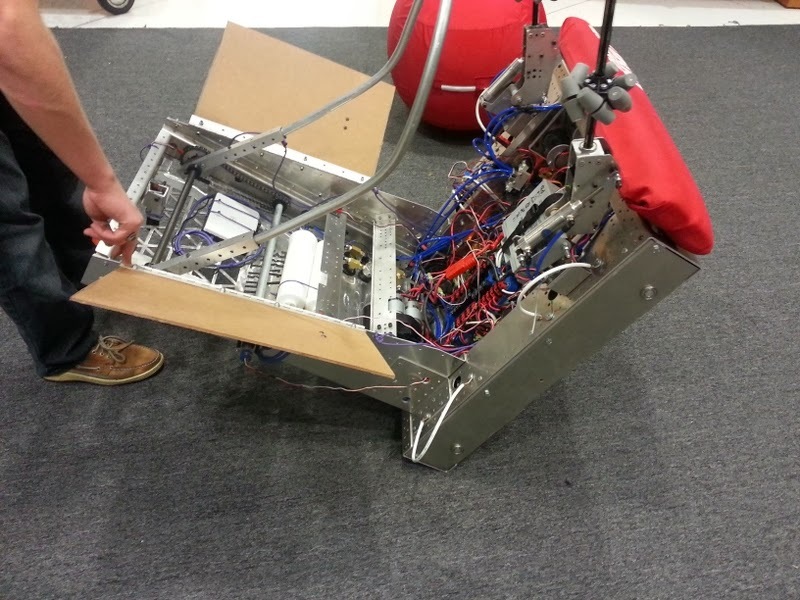 We have the robot set up so that we can remove the end caps of the chassis easily to work on certain parts of it. We also made our collector not pivot outwards. Originally we thought the collector would need to expand to allow the ball through, but after testing we started reducing the swing more and more. Now we think we can build in enough flex and compress the ball enough that the system won't need to expand. This will eliminate a degree of freedom and make the system much simpler. While doing this we decided to test different wheels for collection. We tried the set of the mecanum wheels that we had taken off the drive train, because we're trying to make the most of the items we have on hand. Even though they were intended for a much different purpose, they worked surprisingly well. 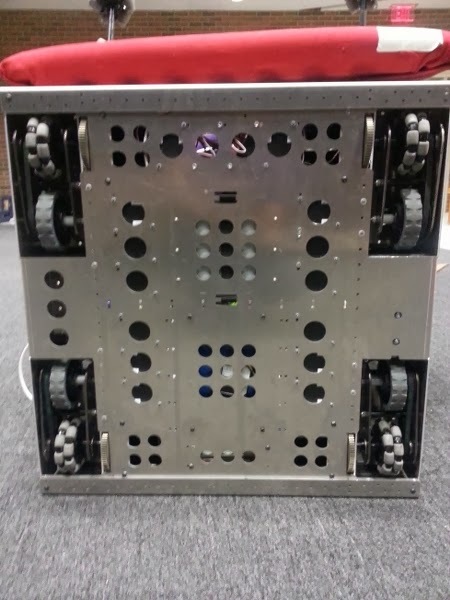 The mecanum wheels are very grippy on the game ball and they are actually making the ball go into our robot better than some of the other wheel choices. 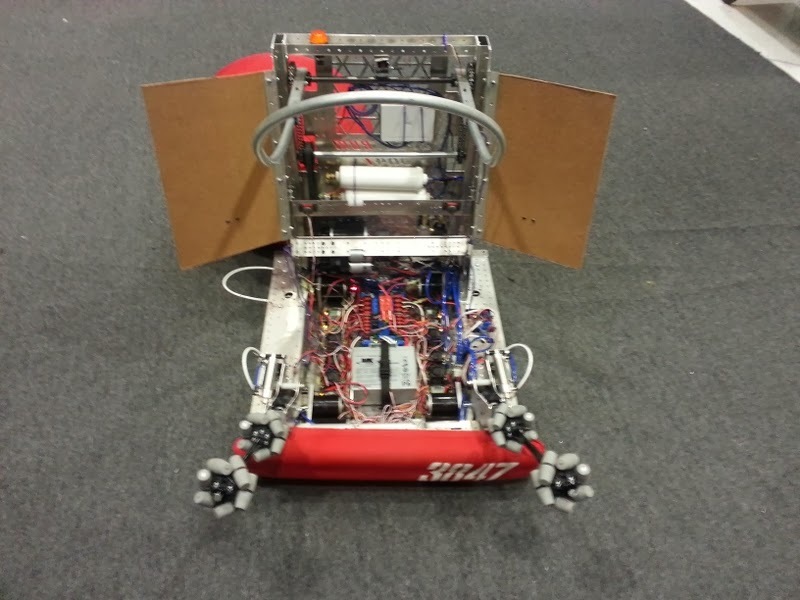 We still have a lot of testing to do before we decide on a final roller, but mecanums are currently in the lead. 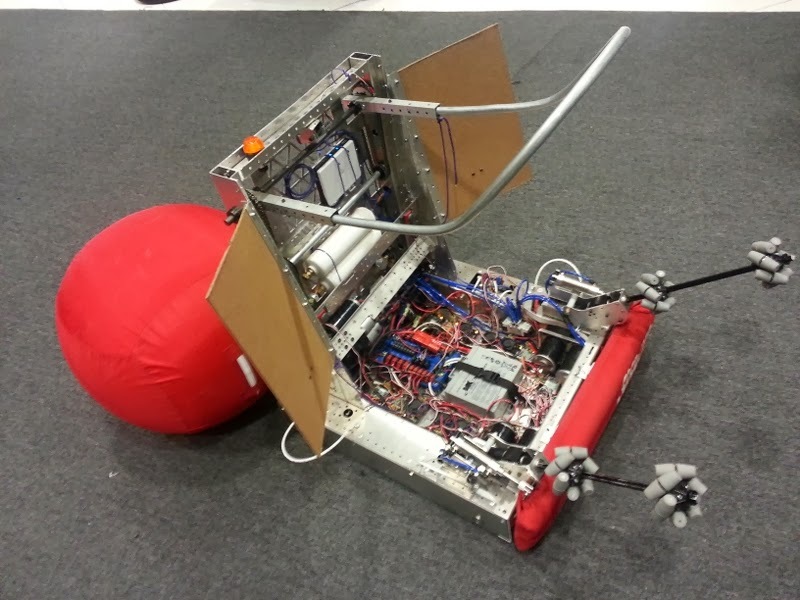 That last shot shows our backwards tipping point on this robot, so we don't think we'll have a tipping problem. The wings are still very rough, but they are doing their job. We put the potentiometer on the launcher today and should be able to get the encoder on in the near future. 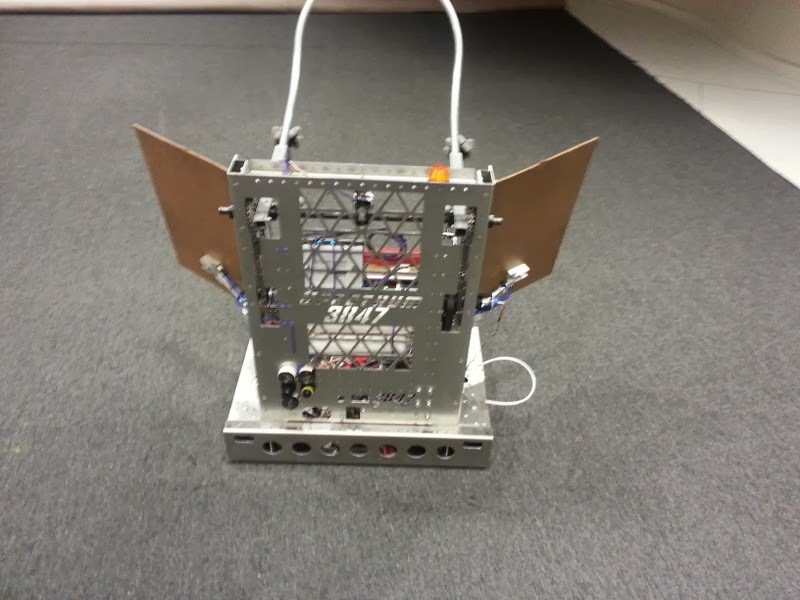 The plan is to use the encoder as a velocity sensor and the potentiometer to set the release point. We added an encoder to one side of the drive train and may add one to the other if we find a need for it.